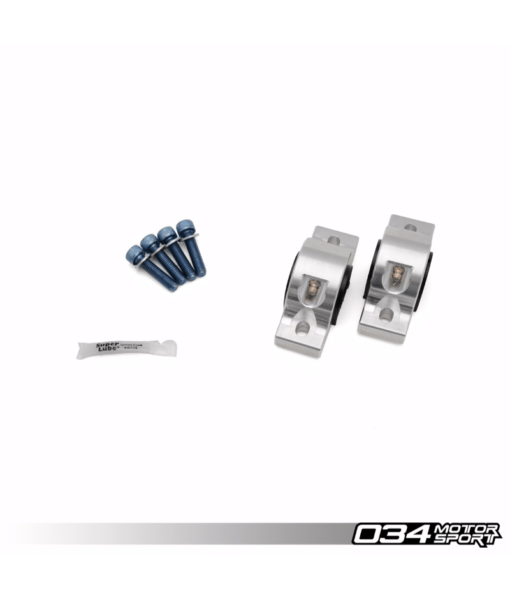 034Motorsport is proud to offer the ultimate rear sway bar upgrade for the MkVII Volkswagen Golf/GTI & 8V Audi A3 FWD! The 034Motorsport Adjustable Solid Rear Sway Bar is made from a single piece of high-quality, 25.4mm thick spring steel for maximum rigidity, and is designed to combat understeer while reducing body roll under hard cornering. This product was tested thoroughly on the street and track on 034Motorsport’s 2015 Volkswagen GTI Development Vehicle and multiple enthusiast-owned MQB Audi/Volkswagen vehicles before release. 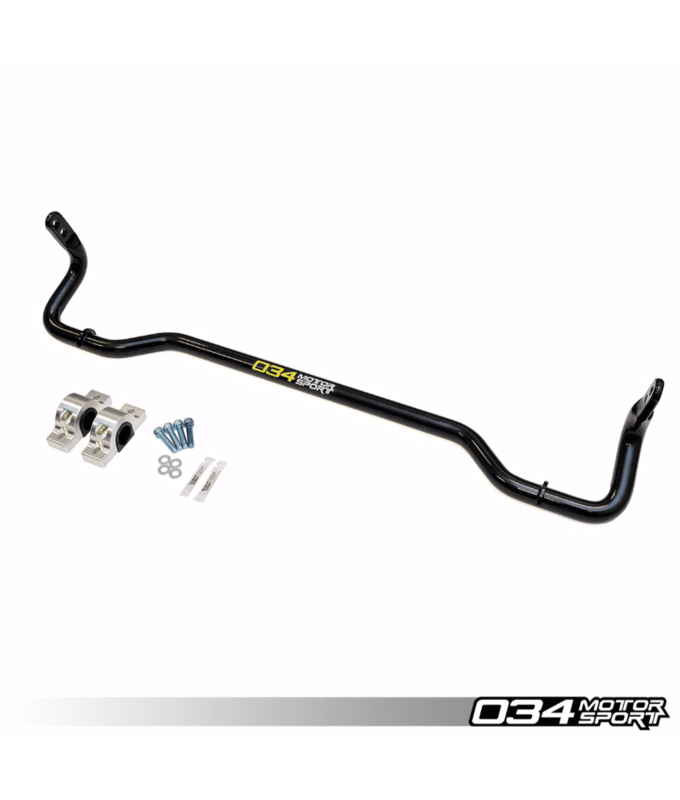 The 034Motorsport Adjustable Solid Rear Sway Bar substantially reduces understeer and body roll on 8V Audi A3 FWD & Volkswagen Golf/GTI vehicles without compromising comfort on the street. Please Note: We recommend upgrading to our Spherical MQB Audi A3 & MkVII Volkswagen Golf/GTI Rear Sway Bar End-Links to gain the maximum performance benefit when installing this rear sway bar upgrade.